Antibiotics save lives every day, but there is a downside to their ubiquity. 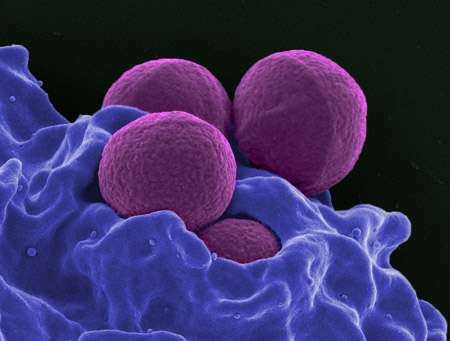 High doses can kill healthy cells along with infection-causing bacteria, while also spurring the creation of "superbugs" that no longer respond to known antibiotics. Now, researchers may have found a natural way to cut down on antibiotic use without sacrificing health: a maple syrup extract that dramatically increases the potency of these medicines. The researchers will present their work today at the 253rd National Meeting & Exposition of the American Chemical Society (ACS). "Native populations in Canada have long used maple syrup to fight infections," says Nathalie Tufenkji, Ph.D. "I've always been interested in the science behind these folk medicines." The idea for the project really gelled when Tufenkji, who had been studying the antimicrobial effects of cranberry extracts, learned of the anti-cancer properties of a phenolic maple syrup extract. "That gave me the idea to check its antimicrobial activity," Tufenkji says. "So, I sent my postdoc to the store to buy some syrup." Using the same extraction approach as other researchers have in the past, Tufenkji's team at McGill University separated the sugar and water from the syrup's phenolic compounds, which contribute to maple syrup's signature golden hue. In an initial test, the team exposed several disease-causing bacterial strains to the extract, but they didn't see much of an effect. Rather than give up on maple syrup altogether, Tufenkji decided to check whether the extract could enhance the antimicrobial potency of the commonly used antibiotics ciprofloxacin and carbenicillin. When her team mixed the phenolic extract with either of these medicines, they indeed found a synergistic effect, allowing them to get the same antimicrobial effect with upwards of 90 percent less antibiotic. The approach worked on a variety of bacterial strains, including E. coli, which can cause gastrointestinal problems; Proteus mirabilis, responsible for many urinary tract infections; and Pseudomonas aeruginosa, which can cause infections often acquired by patients in hospitals. Building on this work, Tufenkji's team next tested the extract in fruit flies and moth larvae. The researchers dosed fly food with pathogenic bacteria and antibiotic, with and without the phenolic extract. Flies with meals doused in maple syrup extract lived for days longer than those denied the syrupy topper. The researchers observed a similar outcome with the moth larvae. To figure out how the extract makes antibiotics work better, the researchers investigated whether the extract changed the permeability of bacterial cells. The extract increased the permeability of the bacteria, suggesting that it helps antibiotics gain access to the interior of bacterial cells. Another experiment suggested that the extract may work by a second mechanism as well, disabling the bacterial pump that normally removes antibiotics from these cells. Currently, the researchers are testing the maple syrup extract in mice. While it is likely to be years before it would be available to patients as a prescribed medical protocol, and a pharmaceutical company would likely need to purify the extract further to avoid any potential allergic reactions, Tufenkji says, she's hopeful that it may have an edge over other would-be medications thanks to its source. "There are other products out there that boost antibiotic strength, but this may be the only one that comes from nature," she says. More information: Phenolic rich maple syrup extracts synergize with antibiotics, 253rd National Meeting & Exposition of the American Chemical Society (ACS), 2017. How fresh is your maple syrup? Honey is also reputed to have some antibacterial properties. Is there anything in common between the two? "but this may be the only one that comes from nature"
You know society is crumbling when even scientists go all hippy dippy.